Wheatley removals and storage. 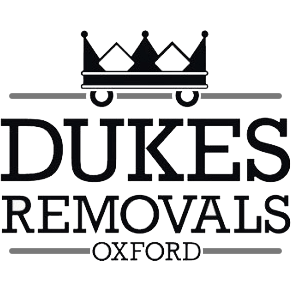 Whether you are moving house or just need a storage solution, we will always offer you a professional service to suit your requirements.We are Trading Standards Approved and a member of their buy with confidence scheme. We have a range of storage both accessible and non accessible. We offer a door to door service. Wrapping all furniture items and bed mattresses before transportation. We take great care and provisions to make sure your move goes as smooth as possible. Some moves can be more demanding and need more organising and planning with local authorities for parking or road closures. We will arrange all that on your behalf as we have the experience and deal with them on a regular basis. We offer a full or part packing service and supply all packing materials. All furniture fabrics and leather are inspected then wrapped before transportation to keep them clean. Furniture is carefully manoeuvred to avoid damages. Some furniture can be difficult or may need to be dismantled, we take time during the viewing to account for any such difficulties and plan accordingly. We like to finish each job knowing we have given complete customer satisfaction. Wheatley is a stones throw out of the Oxford ring road and neighbours the small village of Holton. Holton is the home of Wheatley Park School which is a secondary school of around 1200 pupils. This school includes a newly upgraded gym available to all. Whealtey is also the home of a Brookes University campus which offers a more frequent bus services in to Oxford. This lovely village also contains 6 pubs, ASDA superstore, coffee shops, local butcher, local baker, and the large open fields in the Wheatley Manor grounds reaching over to Shotover & Horspath. Though Thornhill is not Wheatley, it is only a 2 minute drive away / 5 minute local bus and with the newly expanded parking upgrade, Thornhill Park & Ride offers services to all major London Airports and two separate London buses heading to Victoria Station (X90 and Oxford Tube). Oxford Tube stops at Lewknor before heading to Hillingdon, Shepherds Bush and then Notting hill, then on to Victoria via Marble Arch. All in all Thornhill Park & Ride is a fantastic thing to have close to Wheatley and opens up a commuting option in to London, while still able to live in the green countryside of Oxford.